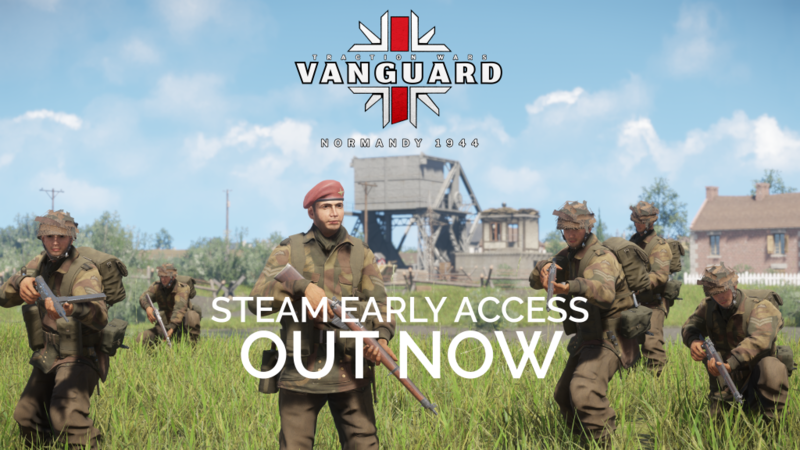 Pathfinder Games are today pleased to announced that Vanguard: Normandy 1944 has been released on Steam Early Access! Following our successful Kickstarter campaign late in 2018, we have been hard at work play-testing and fine-tuning the game ready for this release. We are excited to see people playing the game! We’re also looking into more server regions, new maps, new weapons and an enhanced friend system. We already have servers online in EU, USA, Australia, Russia, Asia & Brazil! Steam keys were sent out yesterday to all our eligible backers. We haven’t forgotten the other rewards, we will be sending those out as soon as we can. We appreciate all of your feedback, so please tell us what you think of the game on the Steam forums or Discord server. We look forward to seeing you on the battlefields!